A RETIRED DETROIT POLICE DETECTIVE COULD SOON BE FACING CRIMINAL CHARGES HIMSELF. IT ALL HAS TO DO WITH EVIDENCE THAT WAS FOUND AT HIS HOME AFTER AN EVICTION. 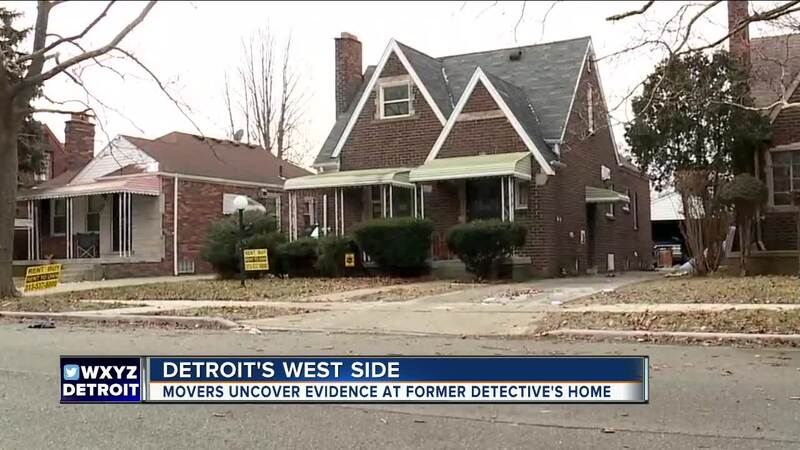 7 ACTION NEWS REPORTER KIMBERLY CRAIG JOINS US LIVE FROM DETROIT'S WEST SIDE WITH DETAILS.. AND KIM, ARE POLICE SAYING WHAT KIND OF EVIDENCE WAS FOUND? DETROIT (WXYZ) — A retired Detroit Police homicide detective is now under investigation after a court bailiff and movers find a locker full of evidence during an eviction Thursday. As a detective, he left the homicide unit in 2009 and later retired from the police department in 2012. Police won't say what sort of evidence was recovered from his former home on Northlawn near Westfield on Detroit's west side. A spokesperson for the police department tells 7 Action News that investigators will be talking to the retired detective if they haven't already. And if it appears there's been any obstruction or tainting of cases tied to the evidence recovered, police will forward their findings to the prosecutor's office.